The world says, “When you were young you were dependent, and could not go where you wanted, but when you grow old you will be able to make your own decisions, go your own way, and control your destiny”. But Jesus has a different vision of maturity: It is the ability and willingness to be led where you would rather not go. 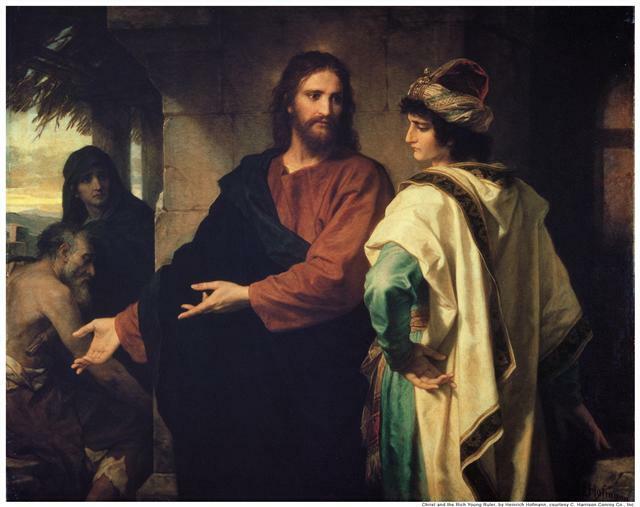 Immediately after Peter has been commissioned to be leader of his sheep, Jesus confronts him with the hard truth that the servant-leader is the leader who is being led to unknown, undesirable, and painful places. The way of true Christian leadership is not the way of upward mobility in which our world has invested so much, but the way of downward mobility ending on the cross. This might sound morbid and masochistic, but for those who have heard the voice of the first love and said “yes” to it, the downward-moving way of Jesus is the way to the joy and peace of God, a joy and peace that is not of this world. Here we touch the most important quality of Christian leadership in the future. It is not a leadership of power and control, but a leadership of powerlessness and humility in which the suffering servant of God, Jesus Christ, is made manifest. We are obviously not speaking of a psychologically weak leadership in which the Christian leader is simply the passive victim of the manipulation of his surroundings. No, we speak of a leadership in which power is constantly abandoned in favor of love. It is a true spiritual leadership. Powerlessness and humility in the spiritual life do not refer to people who have no spine and who let everyone else make decisions for them. They refer to people rather who are so deeply in love with Jesus that they are ready to follow him wherever he guides them, always trusting that, with him, they will find life and find it abundantly. The Christian leader of the future needs to be radically poor, journeying with nothing except a staff—“no bread, no haversack, no money, no spare tunic” (Mark 6:8). What is good about being poor? Nothing, except that it offers us the possibility of giving leadership by allowing ourselves to be led. We will become dependent on the positive or negative responses of those to whom we go and thus be truly led to where the Spirit of Jesus wants to lead us. Wealth and riches prevent us from truly discerning the way of Jesus. Paul writes to Timothy: “People who long to be rich are a prey to trial; they get trapped into all sorts of foolish and harmful ambitions which plunge people into ruin and destruction” (I Tim. 6:9). If there is any hope for the Church in the future, it will be hope for a poor Church in which its leaders are willing to be led.